Do you have a dedicated Human Resources manager at your company? Perhaps you’re doing it yourself because you can’t afford to hire someone, but you may be setting yourself up for a costly mistake. Are you up to date with the labor laws for your state? Are you offering benefits to help retain your A-team? Do your employees feel comfortable and safe coming to you with issues they may be having? Lindsay Polyak explains an alternative solution that won’t add to your payroll, but will protect your company and make you even more money! Welcome to episode 219 of the Profit First Podcast! 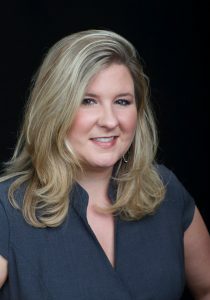 Lindsay Polyak, a Florida native turned Texan, has worked with small businesses since 2000, from processing payroll to managing HR, to overseeing sales and marketing efforts. In her last role as Business Development for an accounting firm, she became a Certified Profit First Professional in 2015 – when it was new on the CPA firm scene- and began introducing business owners to its magic. No longer in the accounting industry, she has joined Insperity and as a Business Performance Advisor, she introduces solutions to help businesses run better, grow faster, and make more money.